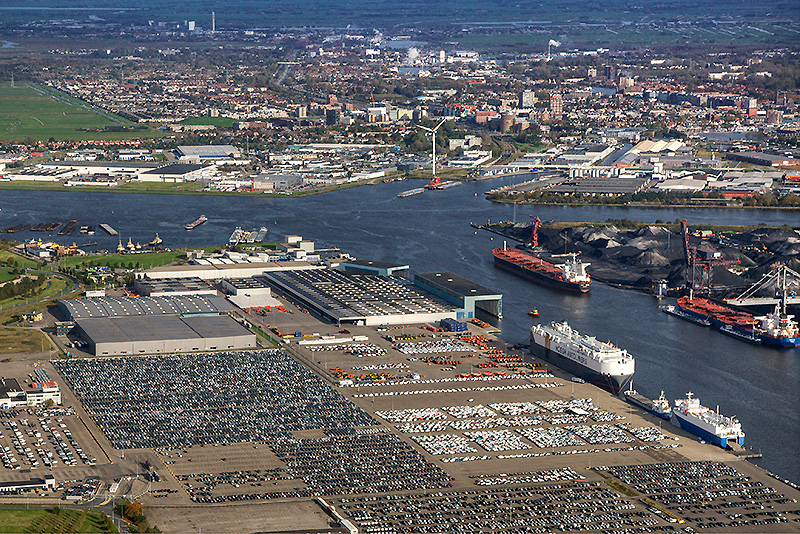 The Waterland Terminal in the Port of Amsterdam is a state-of-the-art, multimodal, all-weather terminal for LoLo and RoRo. The combination of facilities that this terminal offers is unique in Europe. 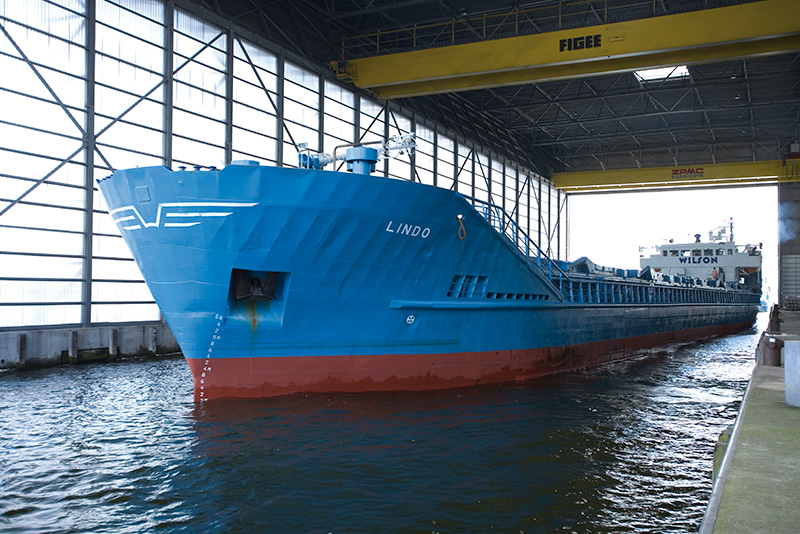 Our “one roof all weather” concept, extensive experience and innovative stance enable us to offer customers highly efficient and competitive logistical solutions. 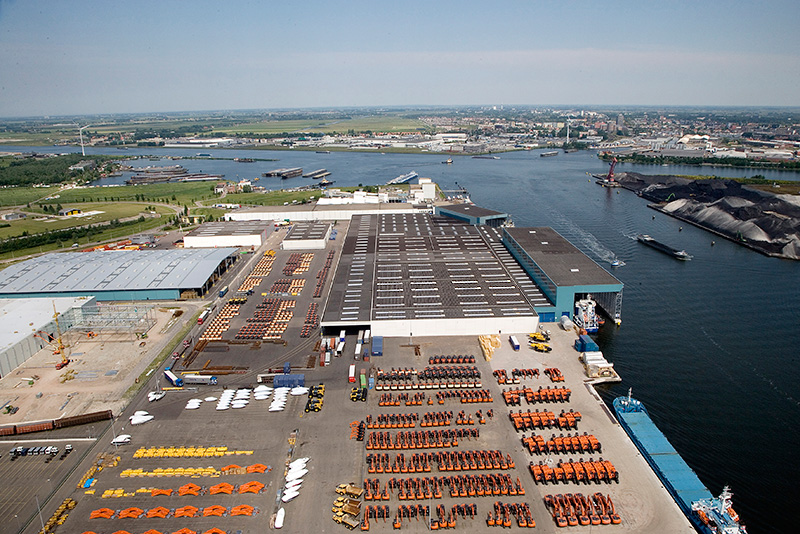 The Waterland Terminal boasts three all-weather berths and two open docks (RoRo). 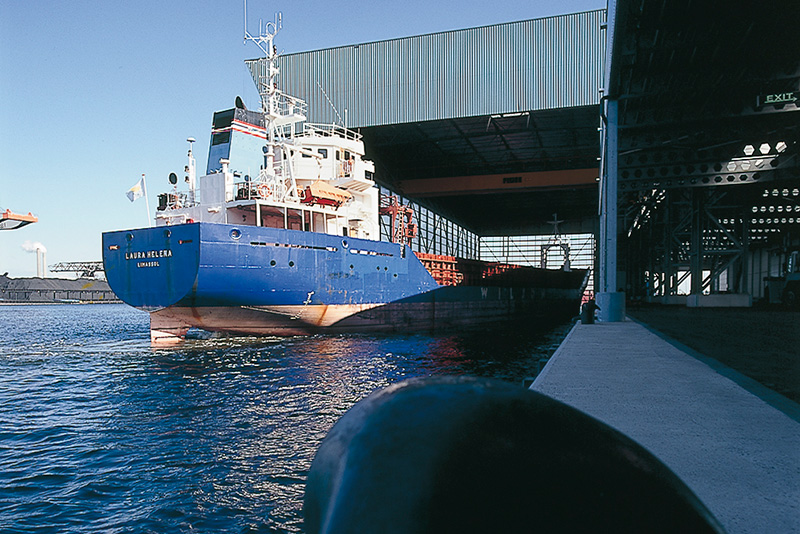 Transshipment, storage and distribution continue 24×7. With our “one roof all weather” concept, weather conditions have no impact on our operations’ speed or quality. The terminal includes a warehouse with dehumidifier for storage of steel goods. We also offer storage facilities for materials like aluminum, zinc, steel, paper, wood and pulp. Our facilities include a broad range of open storage options for e.g. RoRo goods and containers.